Here are 35 great examples of camper trailers for families. 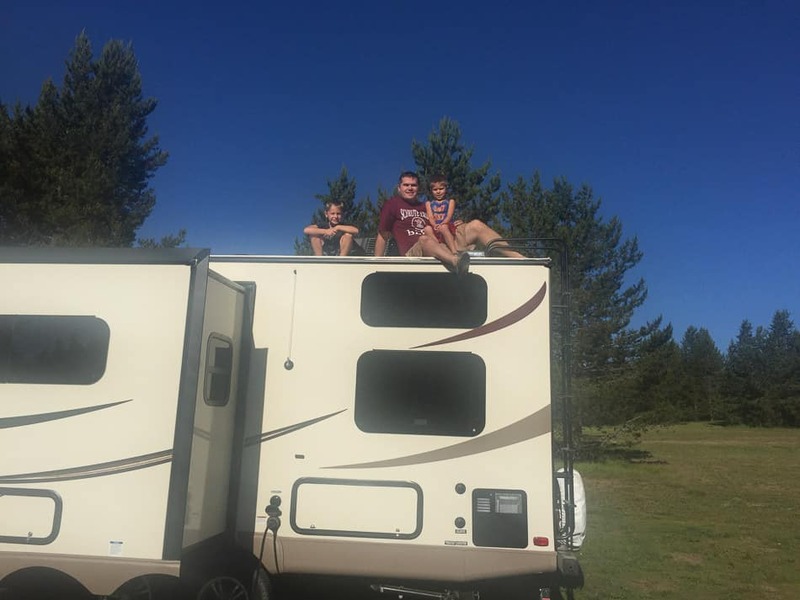 In looking at different camper trailers, I tried to decide which ones met the needs of my growing family best. There were certain things to look for. I had learned that much from experience. The best camper trailers for families are those with good storage, bunk beds, and external kitchens for large meals. There might be some that would say an indoor-outdoor table should be included in what’s needed for a good camper trailer for a family, but it’s going to be difficult to find all of these things in the same camper trailer unless you have it custom built, which often adds to the expense. Slides are another thing that would be good so family members can walk around without bumping into each other, but slides are pretty common in camper trailers these days, so I didn’t put it on the list. A full bath including a bathtub might help young children stay cleaner who might not be used to showers. Again, I didn’t put it on the list, but I kept an eye out for these other things. Below is a list of camper trailers that offer these perks for families or some combination of them. The Forest River Salem features all three of the items on my list. It includes triple bunk beds, good storage, and an exterior kitchen. In addition to these details, the Forest River Salem also offers a full bathtub. 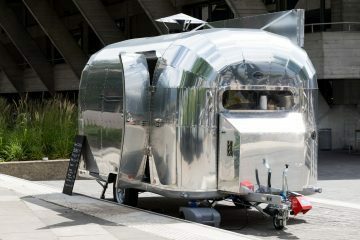 Stainless steel appliances and televisions round out the comfort of this camper trailer. This model by Jayco provides two double bed bunks along with a queen bed. 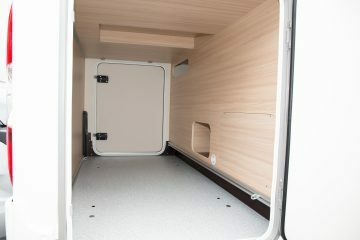 Several storage options, both exterior, and interior are available. Select models offer the exterior kitchen. It offers a full tub also. An outdoor shower and black appliances with a double kitchen sink are included in the spacious camper trailer. The Highland Ridge Bunkhouse provides 50×74 inch bunk beds to make room for a family of six, one and a half baths which includes a tub, and an exterior kitchen. Storage include a pantry. Stainless steel appliances and slides are also features of the Highland Ridge. The Dutchmen Aerolite provides bunk beds measuring 52×74 inches, (double over double bunks), and an exterior kitchen as well as good storage with wardrobes and a walk-in pantry. The exterior kitchen is included also. The bathroom features a full tub. An entertainment center to enjoy on rainy days is available along with the stainless steel appliances. This model offers double bunk over double bunk as well as good storage, including a pantry, and an exterior kitchen. A full tub is available. 2018 camper trailer models on the list are sometimes at sale prices to make room for the 2019 models and may be a better deal. The Forest River Micro-Lite Bunkhouse features 48×72 double bunks as well as a Murphy bed for extra space. Storage includes wardrobes and a pantry. An exterior kitchen is available to help with large meals. The Micro-Lite also has a full bathtub as well as an entertainment center and slide. The Minnie Plus model 27BHSS has double bunks as well as a queen bed. It features an exterior kitchen to help with those big meals and provides good storage, including a linen closet. An entertainment center and sliding doors are also featured. The Pioneer features a queen bed as well as a double bunk with a regular bunk above. No exterior kitchen is noted on the floor plan, although storage is available through overhead and under counter cabinetry. The Pioneer features a booth dinette and double sink. This model is larger than some. It offers a queen bed along with a sofa and dinette which can be made into beds. There is an outdoor kitchen along with storage, including shelving and hooks. The Alpha Wolf manufactured by Forest River has all of the family-friendly features I’m looking for including not only the outside kitchen and double bunks, but also the walk-in pantry, and exterior pass-through storage. For further comfort, the camper trailer is prepped for a fireplace. The bathroom includes a full tub. The Evo is another family-friendly model by Forest River. With two sets of twin bunks, a pantry and several wardrobes, plus an outside kitchen, it has all of my criteria, plus pass-thru storage and an entertainment center. Stainless steel appliances and a comfortable sofa add to its appeal. The Jay Flight Bungalow is a larger model but has all the bells and whistles. It features two bedrooms, one of which has a set of twin beds with trundle beds underneath. There is a hideaway sofa as well as the master bedroom. Storage includes wardrobes, chests of drawers, and a linen closet. It does not feature an outdoor kitchen, however. The second bathroom features a shower. Ceiling fans, a large refrigerator, and a 20-foot awning add to its appeal. The Wilderness model by Heartland can sleep at least seven with its double queen bunks, outdoor kitchen, and full tub, although storage is limited to overhead and under counter cabinetry and exterior storage including pass-thru. This model is also solar and backup camera prepped. The Starcraft GPS is family friendly with its capacity to sleep up to ten. Storage includes an extra-large closet in front where fishing and sports gear can be stored. The GPS features a queen bed in the master bedroom and large, double bunks in the second bedroom. No outdoor kitchen is available, however, the GPS does have a bathtub. This model features a Murphy bed over a sofa. At the other end of the camper trailer is a set of double bunks. Storage is provided with wardrobes, a pantry, and overhead cabinetry. An exterior kitchen awaits meals while a tub in the bathroom provides convenience. The Premier offers a bunk over a futon as well as another bunk opposite. The master bedroom features a queen bed and storage is provided for by wardrobes, two pantries, and overhead cabinetry. The Premier also features an outdoor kitchen. Indoors, an island provides additional work space in the kitchen area. CampLite offers another model with bunks and storage if the outdoor kitchen isn’t high on your list of priorities. This model has a set of bunks 28×73 inches as well as the bed in the master bedroom. Storage is provided for with closets and overhead cabinetry. What this model offers in place of the exterior kitchen is an outdoor shower, which some families might prefer over an outdoor kitchen. This model of the Ultralite Express offers double over double bunks plus storage in shelves, pantry, wardrobes, pass-thru storage, and overhead cabinetry. This model does not feature the futon as the Bullet model by Coachmen. The Freedom Ultralite Express does also offer an outdoor kitchen. There is a tub in the full bathroom and an entertainment center is placed near the sofa in this design. The Shamrock is an expandable travel trailer. It offers two 60×80 inch beds along with storage in wardrobes, shelving, linen closet, exterior storage, and overhead cabinetry. An outdoor gas grill is an option that can be included if you would like one. Also offered in this model is an entertainment center. The bathroom features a shower with no tub. This model offers an exterior kitchen, queen bed in the master bedroom and two twin-size bunks in the back bedroom with an option for a television in the bunk bedroom. There is also a tri-fold sofa. Storage is provided by wardrobes, nightstands, pantry, and overhead cabinetry. An entertainment center is in the main sitting area. This model also offers more standing headroom. The Trail Runner has a standard exterior kitchen along with storage provided by overhead cabinetry. This model also features a fully finished exterior pass-thru. The sofa provides bed space as well as the queen bed in the master bedroom. Exterior speakers allow campers to enjoy their favorite music outdoors. Although Keystone offers this model as a fifth wheel, it is also offered as a pull-behind travel trailer. The Keystone Cougar, despite being 30 feet long, has a sleeping capacity of four with a fold-out sofa and a king bed in the master bedroom. Storage is offered through wardrobes, pantry, linen closet, overhead cabinetry, pass-thru, and ‘hidden storage’. This model offers an outdoor gas grill. There is the option of choosing a booth dinette or a free-standing table. The Elevated Coleman offers three 29×72 inch bunks with a cube den beneath one of the bunks. The master bedroom features a queen bed. An outside kitchen stands ready to assist with family-size meals. Storage is provided with closets, pantry, nightstands, shelving, and overhead cabinetry. The Elevated Coleman also offers a full bathroom with a tub. This model offers storage with closets, pass-thru storage, and overhead cabinetry. There is an outside shower instead of an exterior kitchen. There is a queen bed in the master bedroom with the dinette opening into a bed. The bathroom provides a shower. This model also offers an entertainment center. This model offers a fold out sofa as well as a queen bed in the master bedroom. A gas grill swivels out is available as an option as well as an outside kitchen. Storage is provided with nightstands, overhead cabinetry, dresser, wardrobes, and pantry. Exterior storage includes a full-size pass-thru area. This model offers luxury and extras such as a laundry chute and fireplace. This Jay Feather model offers an outdoor camp kitchen as an option. Storage is provided with nightstands, overhead cabinetry, wardrobes, and pantry. There is a 39×74 inch set of bunks as well as a queen bed in the master bedroom. The bathroom offers a tub. The Heartland Terry Classic is a modern twist on a retro look for folks with a touch of nostalgia. This model sleeps 3-4 people with a queen bed and a pull-out sofa. No outdoor kitchen is available, but storage is provided for with plenty of counter space, overhead cabinetry, and under counter cabinetry. There is exterior storage along with stainless steel appliances. The Mesa Ridge offers double over double bunks as well as a large bed in the master bedroom. There is no outdoor kitchen. Storage is provided with hanging shirt closets, nightstands, shelving, and overhead cabinetry. Stainless steel appliances and tinted safety windows are standard for the Mesa Ridge. The Sportsmen Classic features a 54×78 inch bed in the master bedroom as well as 28×75 inch bunks in the second bedroom. The dinette also opens into a bed. Storage is provided with shelving, closets, and pass-thru exterior storage. No exterior kitchen is available. The model has a diamond plate and the option for a backup camera. The SportTrek Touring Edition Travel Trailer has a length of nearly 35 feet, giving it some room for touches of luxury. There is a coat closet as you step into the trailer. The trailer features two fireplaces and an entertainment center. The SportTrek features a full outdoor kitchen and storage is provided with a dresser, pantry, pass-thru storage, and overhead cabinetry. Double over double bunks are in the second bedroom while the master bedroom features a king bed and window seat. Available only to Venture RV is the LevelMate Pro which uses smartphone technology to help level the RV. The Shadow Cruiser features double bunks, a dinette bed, and a 60×80 bed in the master bedroom. Storage is provided with overhead and under counter cupboards. The Shadow Cruiser also features a full exterior camp kitchen. At nearly 28 feet in length, the Shadow Cruiser offers plenty of space. The Sunset Trail features a king bed in the master bedroom as well as 50×74 inch bunks in the second bedroom. An exterior kitchen is available for family meals and storage is provided with wardrobes, pantry, and overhead cabinetry. There is an entertainment center as well as the option for electric jacks. This model provides a Murphy bed in the master bedroom area as well as double bunks in the second bedroom. There is a pull-out kitchen as well as a gas grill to assist with family-sized meals. Storage is provided with wardrobes, nightstands, and several exterior compartments, including pass-thru. The bathroom features a tub and the camper trailer also has an entertainment center. The Mallard features double queen bunks in the second bedroom with a queen bed in the master bedroom. Storage is provided with roomy overhead cabinets and under counter cabinets, under-bed storage, and medicine cabinet. The Mallard features an outdoor kitchen. The interior kitchen has a double door refrigerator and a pull-out kitchen faucet. This model offers a queen bed in the master bedroom and a set of double-sized bunks in the second bedroom. 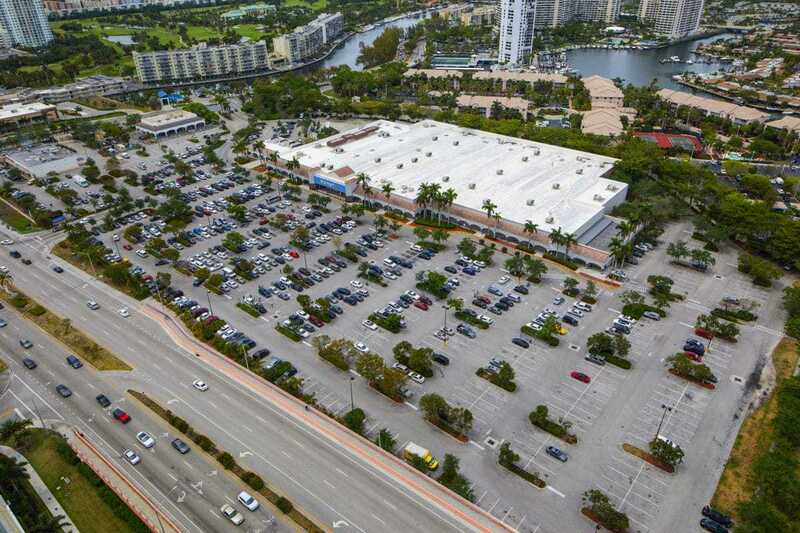 Storage is provided with linen closets, shirt closets, a pantry, and overhead cabinetry. The Volante offers an exterior kitchen also. There is an entertainment center with the option of a fireplace. The Volante sleeps 5 to 6. Although toy haulers are in a different category of recreational vehicle, they deserve mention here due to dealerships reporting that fully half of the customers buying toy haulers don’t have any toys for the toy haulers and don’t intend to buy ATVs, dirt bikes, etc. Customers are buying toy haulers purely for the extra space, whether it be for storage or an extra bedroom. Including pricing would have been convenient for this list, but pricing is not the same in all parts of the country and, therefore, would not have been accurate for some folks. My hope, as I look at camper-trailers myself, is that this list will point fellow campers in the direction in which they want to go and be able to find out pricing in the areas in which they live. Can I Camp in a Walmart Parking Lot?